Adjustable safety spotters for maximum safety. Added pull up station with multiple grip positions. Painted guide numbers on uprights for safe and easy reference. 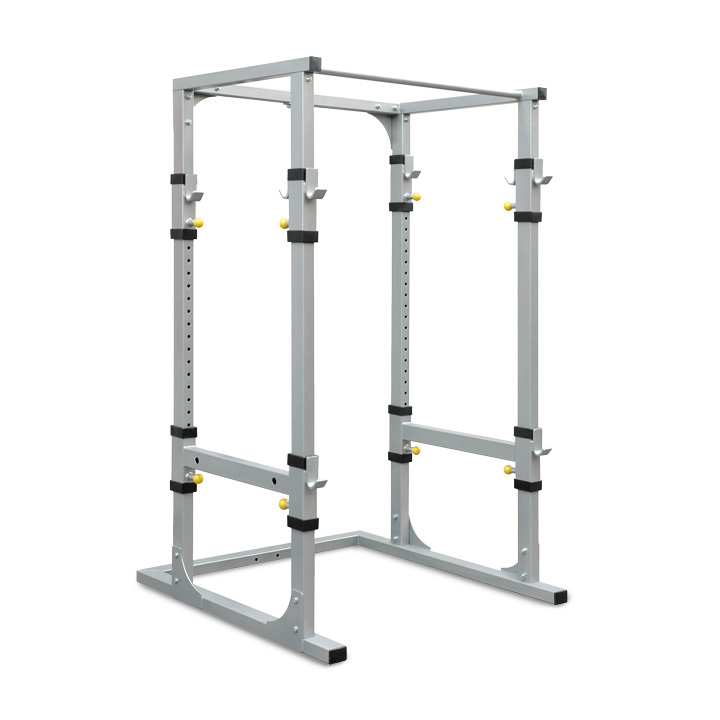 Front and rear adjustable bar catches for convenient racking during any exercise.